The new owner of Nokia mobiles, HMD Global has partnered with Vodafone India and introduce some special offers on purchasing the Nokia 3, 5 and 6 smartphones. All customers who purchase Nokia 5 or Nokia 3 smartphone will get 5GB 4G/3G data fo three months. Well, Nokia 3, Nokia 5 and Nokia 6 Android smartphone had just hit the Indian market. The new owner of Nokia mobiles, HMD Global has partnered with Vodafone India and introduce some special offers on purchasing the Nokia 3, 5 and 6 smartphones. If we talk about Nokia 3, it is already available in offline stores at the price of Rs 9,499 and also available online via Croma. Nokia 5 priced at Rs 12,899 will be available offline as well. However, Nokia 6 which is priced at Rs 14,999 will be available from July 14 only via Amazon India. So, what Vodafone is offering to users who buy Nokia phones? Well, all customers who purchase Nokia 5 or Nokia 3 smartphone will get 5GB 4G/3G data fo three months. 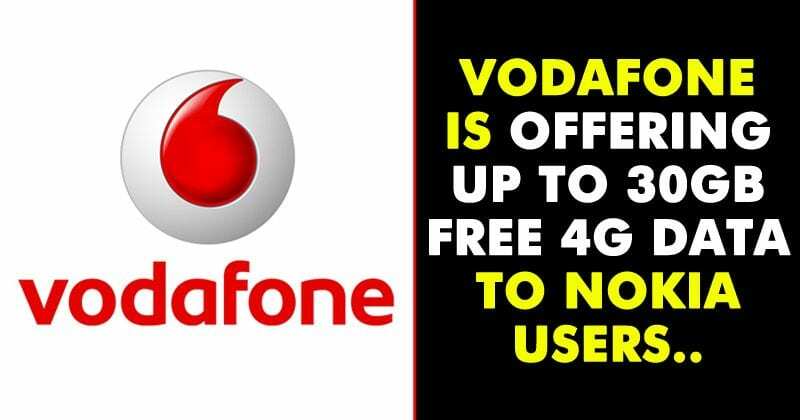 Vodafone is actually offering 4GB free data to those customers who buy a 1GB data plan which starts at the price of Rs 142. The best part of the offer is users will also get the same offer for three consecutive billing cycle. Well, Nokia 6 which is the top-most handset from Nokia will receive the best offer by Vodafone. Users who will purchase Nokia 6 will get total 10GB 4G/3G data on purchasing a 1GB data plan which starts at a price of Rs 251 (9GB Additional Data). Users will also get the same offer for three consecutive billing cycle. The same offer also applies to Vodafone postpaid users too. Postpaid users who buy Nokia 3 or Nokia 5 will get total 4GB additional data for 3 months. Nokia 6 users will get 9GB of additional data for three months. But, postpaid users need to have at least 1GB of data on their postpaid plan to activate the latest offer. Vodafone says that the latest offer applies in all circles. So, what do you think about this? Share your views in the comment box below.